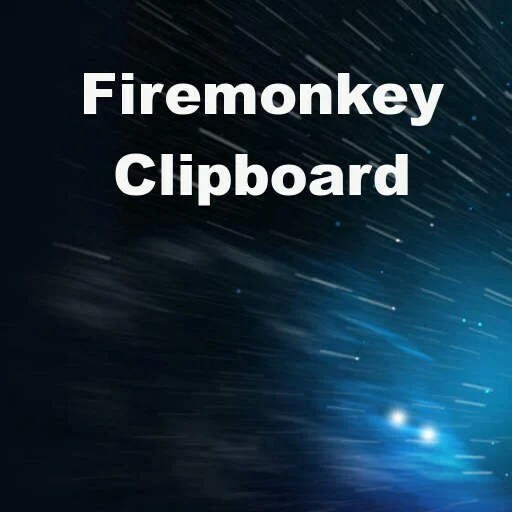 Developer Chris Rolliston from DelphiHaven has four different blog posts going back to 2012 covering the Clipboard in Delphi Firemonkey. Additionally, he has a custom component called TClipboard which implements some nice functionality and has been tested up to Delphi XE5. It should probably run in Delphi XE6 and AppMethod with only minor changes. Keep in mind that the blog posts were written for previous versions of Firemonkey. The latest version of Firemonkey actually has a basic IFMXClipboardService that you can see an Android demo of here. In any event the first blog post covers copying and pasting a TBitmap on Windows and OSX. The next blog post has a TClipboard component where the code from the first blog post has been expanded and turned into a component. The third blog post has more updated functionality and support added to TClipboard for iOS. And finally the fourth blog post covers another update to the TClipboard component with support for Android. The component is free and there are both desktop and mobile demos available for Windows, OSX, Android, and IOS. Head over and check out the source code and demos for the Firemonkey TClipboard component.